What Can You Do to Keep Your Little Ones Safe in Preschool? One of the most crucial things you can do to keep your little ones safe when you send them to a preschool or daycare is to have them memorize your contact information. Have them learn your phone number, your address, and the contact information of your work. This will ensure that their teachers will know who to contact in an emergency. It is also important to have this information written down and placed in an easily accessible location in their backpack as a precaution. 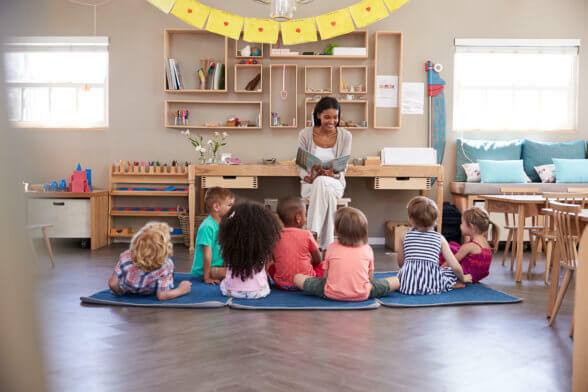 When you want to provide your little one with an exceptional early childhood education in Riverside, California but want to ensure they are safe, you cannot go wrong with GPS tracking devices. These devices come in a number of different forms but one of the best is that of a watch. Your little one will get to have a cool watch they can show off to their friends but it will also help give you peace of mind. These watches will allow you to see the exact location of your child at all times. You can even set invisible boundaries that will alert you when crossed. When you send your little one to a reputable early education center, then you can rest easy because they will be in good hands. Those are just a few of the many things that you will want to keep in mind when it comes down to keeping your little one safe when they go to school. If you would like to find out more about this or about Early Childhood Education in Riverside, California please do not hesitate to get in touch with Montessori Children’s House for more information. This entry was posted in Preschool and tagged contact information, daycare, early education center, education. Bookmark the permalink.